The winning proposal by C.F. 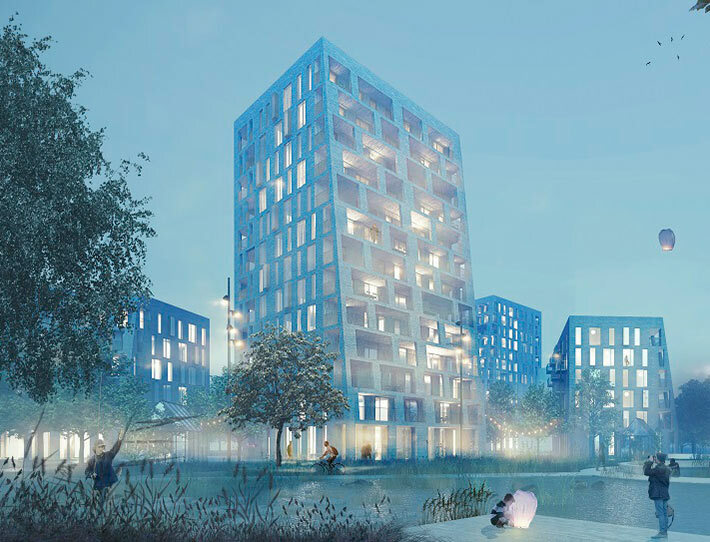 Møller Architects and BRUT for this new neighbourhood of 500 homes combines green spaces, playgrounds and high and low-rise apartments. The proposal aims to create an innovative, inclusive and sustainable housing project that includes 10 low-rise buildings and four tall tower blocks.